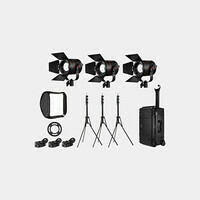 Ideal on the road or in the studio, the IFB1024 2-Light Dual Color Kit with Anton Bauer Battery Plate from ikan includes two IFB1024-A LED lights with variable color temperature, two heavy duty light stands, power supplies, yokes with 5/8" mount, a light bag, and a stand bag. Adaptability is a key characteristic of the design of the IFB1024-A. 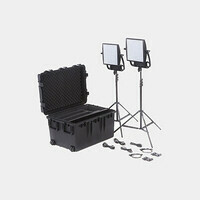 Instead of having you choose between a daylight or tungsten balanced source or deal with cumbersome gel filters, ikan includes 3,200K and 5,600K LEDs in the same panel allowing you to respond to the prevailing color temperature by setting the lights to either setting or any temperature between. Ikan makes it easy with a large, highly visible LCD touch screen that offers full function control of the output. The IFB1024-A is supplied with a multi-voltage AC power supply and preinstalled Anton Bauer plate for 14.4V battery power in the field, please note that batteries are NOT included. 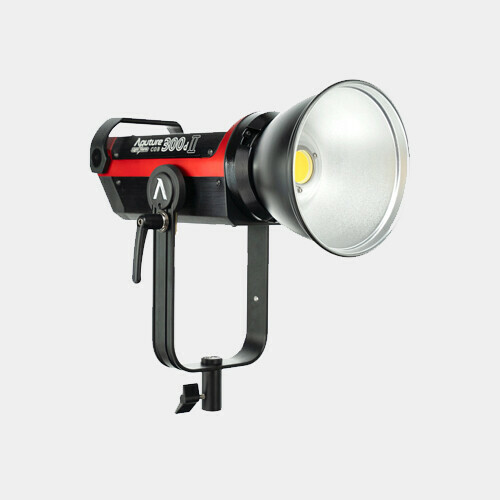 The sturdy polymer and aluminum fixture features 4 way light intensifier barndoors that fold flat to the light to form a protective shell. Each barndoor has convenient gel clips. The yoke mount terminates in a 5/8" receiver for stand mounting or hanging overhead.